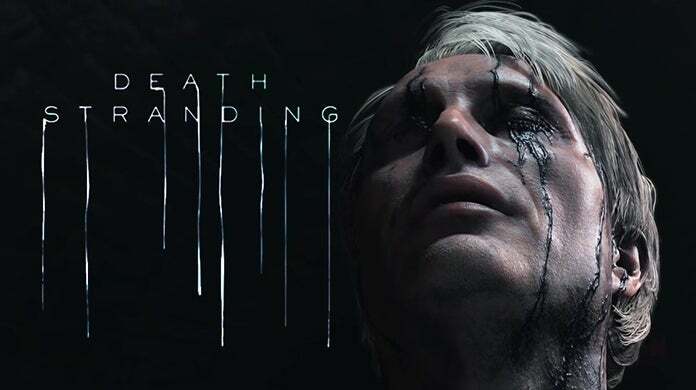 Not much is know about the release of Hideo Kojima’s mysterious Death Stranding, which is set to arrive on the PlayStation 4 at some point in hopefully not too distant future. That said, the teases haven’t been as frequent as one would hope, but that hasn’t stopped the Internet from picking everything apart that has been released by Kojima and team. The latest bit of potential information comes by way of a retweet from Aki Saito, head of marketing and communications for Kojima Productions, which points to us seeing more on Death Stranding in the very near future. As some of you may know already, Sony is set to begin their own livestream shows, much akin to Inside Xbox and Nintendo Direct, and the first one is poised to take place this Monday, March 25th. During these broadcasts, fans can expect to see news, reveals, and more about PlayStation 4 and PS VR titles. What may be the most-anticipated PS4 exclusive, of course, is Death Stranding, which would make sense to include in the inaugural episode of State of Play. As can be seen in the image above, posted to Reddit by user Navaid-S, Aki Saito retweeted the announcement for State of Play. Of course, this could just be Saito showing support for the PlayStation team, which is more than likely the case. However, this could very well be a hint that we’ll be seeing Death Stranding during Monday’s broadcast. Naturally, we all want that to be true, but until the actual broadcast takes place, we can only continue to guess. If it proves to just be speculation, we’ll keep on hunting down any clue we can about the ominous title. Death Stranding is set to arrive at some point in the future exclusively on PlayStation 4. For more about the game, check out some of our previous coverage. What do you think about all of this? Do you believe we’ll be seeing Death Stranding during the State of Play broadcast? Sound off in the comment section below, or feel free to hit me up over on Twitter @anarkE7! In this latest episode, we talk about Dragon Ball Super maybe returning, we’re breaking down Kofi’s trip to the set of Godzilla: King of the Monsters and more! Make sure to subscribe now and never miss an episode!